McFLURRY BEATS DEWEY! | McServed: Getting Served McDonalds Fast Food Funnies, Laughs and More! mcflurry is making a political statement. 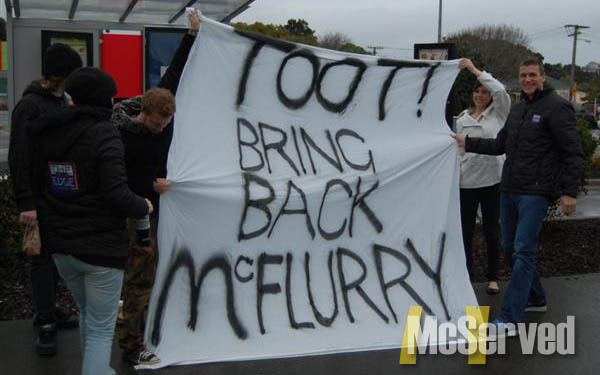 protest to bring mcflurs back! Outside, Picturestags: honk, horn, mcflurry, michigan.